What if I'm going on vacation or otherwise unable to pick-up on my assigned day? Ideally, the best way to handle a missed week, is to have a friend, family member, or neighbor pick up the box in your place. It makes a great thank you gift to someone who may be watching your house or taking care of a pet while you're gone. If you don't have someone to pick-up for you, please email in advance to make alternate arrangements for a make-up. This make-up should take place as soon as possible after the missed week. What if I forget or don't show on my assigned day? Please remember that we are dealing with a perishable commodity. 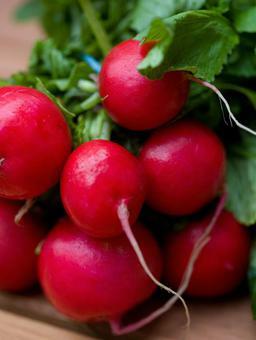 We have assigned days to better assure that each customer receives the freshest possible produce. The number of boxes we have on the roster each day helps us to determine how much fresh produce needs to be picked early in the morning. We prepare the exact number of boxes each morning that are on the schedule for that day. If there is a no-show, that box goes to waste because it would not be fair to give it to another customer the following day. We understand that last minute changes are sometimes unavoidable. Please always contact us as soon as you know that you won't be able to make it in for a pick-up. This may save us the labor of assembling your box for that day, as well as cut down on loss that we could incur. What time can I pick-up? You may pick-up at any time between 9am and 6pm on your assigned day. We begin assembling the boxes for the day at 8am, so your box will be available as early as 9am. 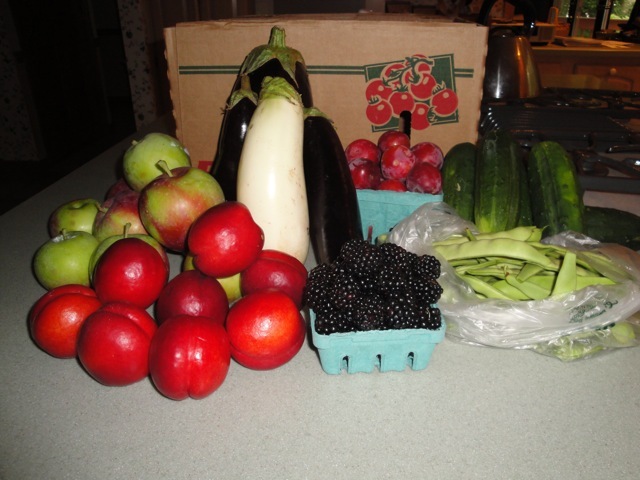 How much produce is in a $25 versus a $45 box? On this page you can see photos of some examples of $25 boxes. 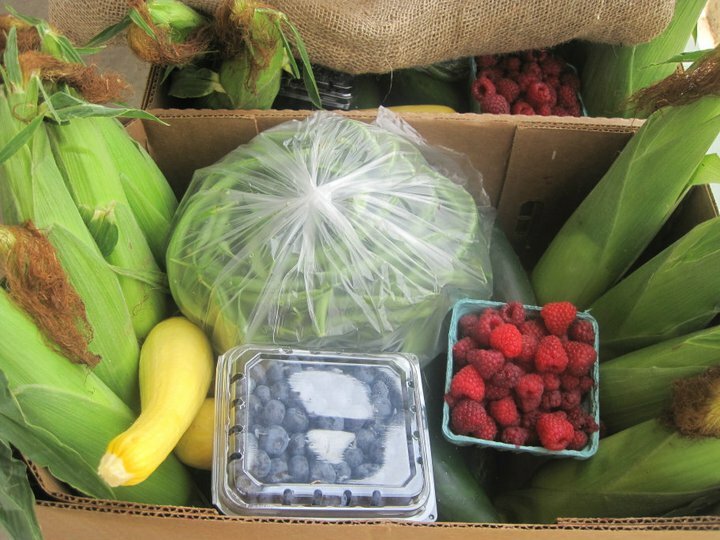 We mix up what goes into our boxes week to week, depending on what is being harvested at that time. That gives you a nice variety each week. 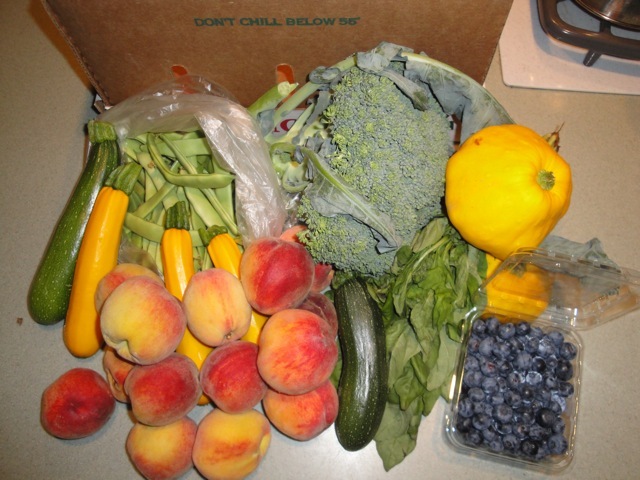 Our $25 box seems to be popular with singles, couples, and small families, whereas the $45 box is great for larger families, or families that cook a lot or go through a great deal of produce each week. Both boxes contain the same items, but the $45 box will contain twice the amount. Each week will contain both fruits and vegetables. As an example, a typical $25 box may contain 3 lb. peaches, 2 lb. heirloom tomatoes, 1 basket plums, 1 lb. roma beans, 2 lb. eggplant, 6 corn, 1 bunch radishes, and 1 head broccoli. 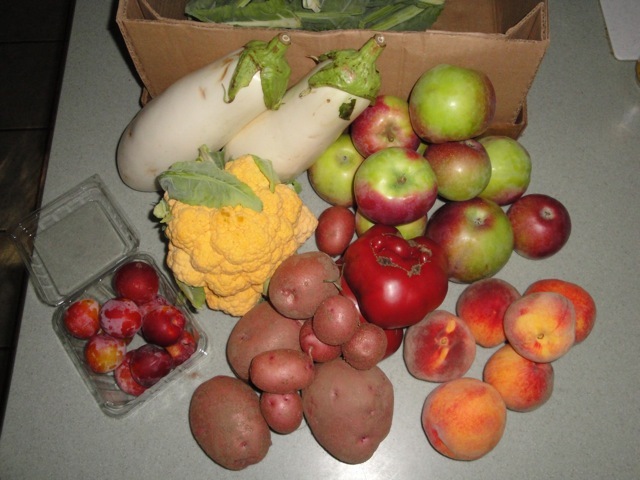 Depending on the prices and weights, of what is being harvested, a box contains 6-9 items. Can I split my CSA with another family? Yes. 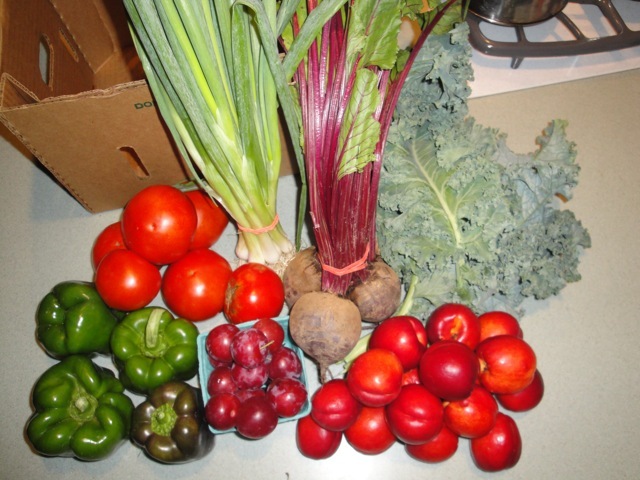 We have many families that share their CSA. Be sure to include both last names and email addresses on the registration. Some families take turns picking up the CSA. Others split it down the middle each week. You decide what works best for you. Can I still register once the CSA season is already in progress? Yes. You may join our CSA at any time. We will simply pro-rate the remaining weeks in the program. Can I upgrade to the larger box? Yes. If you decide you'd like more produce, you may upgrade to the $45 box at any time. Just let us know. What kind of variety can I expect in my CSA? 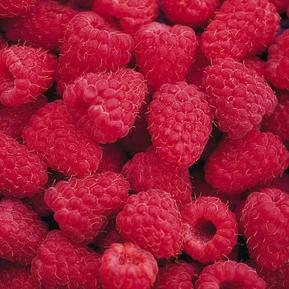 We have the widest variety of berries, fruits, and vegetables in the state. Please visit the "From Our Fields" section of our website for a complete list. No, we are not organic. Having said that, many of our crops are pesticide-free. We make use of plastic mulch to greatly reduce the need for herbicides, fungicides and insecticides. A strict monitoring program is also used to limit the applications of pesticides. 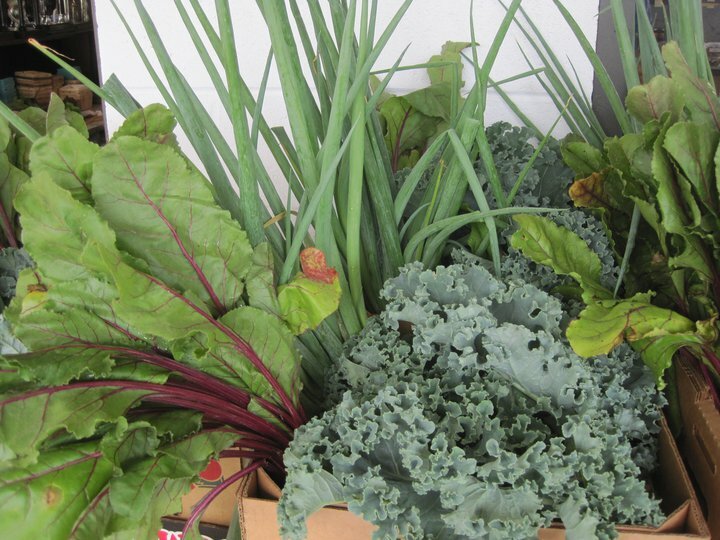 Our families eat the fruits and vegetables we produce on a daily basis. What forms of payment do you take for the CSA? We accept cash or checks only for CSA payments.